Background/Info: The Serbian duo Ontal gained some recognition for their albums released on labels such as Ad Noiseam and more recently Hands, but they also have released an impressive number of EP’s. On this new 12” they’ve composed 2 tracks together with New Frames (also known from the Hands roster) plus 2 other cuts. 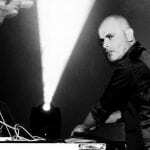 Content: The track “World Clash” composed together with New frames is a dark-technoid opening cut with some extra elements of EBM. It sounds as pure dance-aggression! The other tracks left are somewhat different and definitely more minimal- and experimental like. 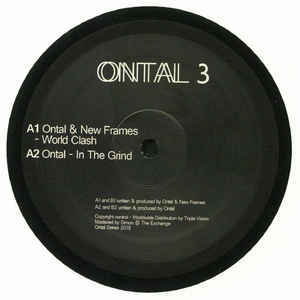 Ontal also experiences with industrial influences and likes to manipulate and rework different noises. + + + : The mix of industrial- and techno music comes perfectly through at this EP and especially at the terrific “World Clash”. This is an absolute masterpiece accomplished by 2 visionary artists from this industrial-techno movement. – – – : Despite of the exceptional and aforementioned “World Clash”, the other tracks left are less inspired and less accomplished. Conclusion: If you already liked the “Amass”-album released on Hands, you definitely have to taste this new EP featuring a great track together with New Frames.